We wish to send two of our monks in formation to participate in the annual Paris to Chartres Pilgrimage from May 19-21. Friends of the monastery are assisting them with the necessary accommodation, but we need to their train fares and other travel expenses. Please assist us if you can. Any amount will be of help. The brethren will pray for the intentions of all donors throughout the pilgrimage. Thank you and God bless you ! 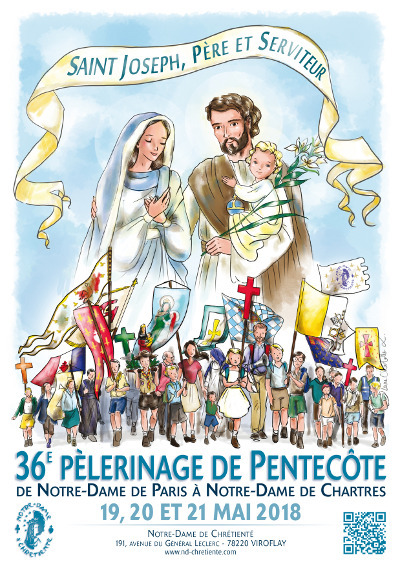 Nous souhaitons envoyer deux de nos moines en formation au pèlerinage annuel de Paris à Chartres du 19 au 21 mai. Des amis du monastère les aident à trouver le logement nécessaire, mais nous avons besoin de couvrir leurs tarifs de train et d'autres frais de voyage. S'il vous plaît, aidez-nous si vous le pouvez. Tout montant sera utile. Les frères prieront pour les intentions de tous les donateurs pendant le pèlerinage. Merci et que Dieu vous bénisse ! 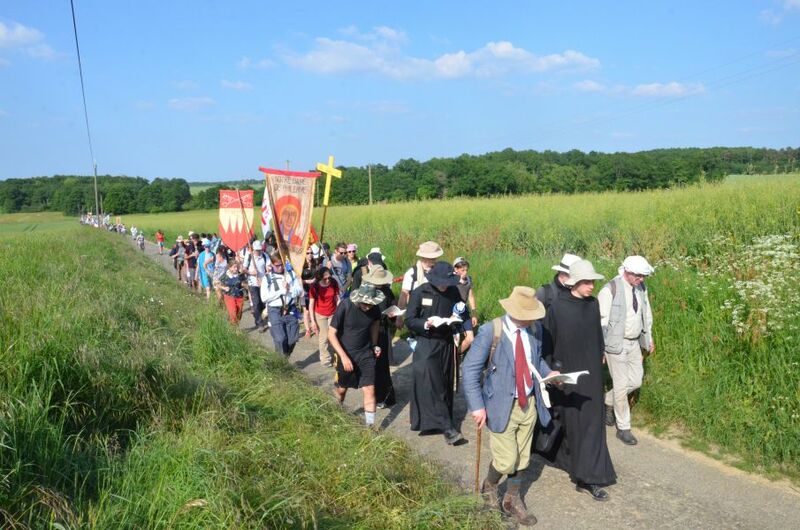 As the Chartres Pilgrimage commences its final day, we thank all those who have enables our brethren to make the pilgrimage. 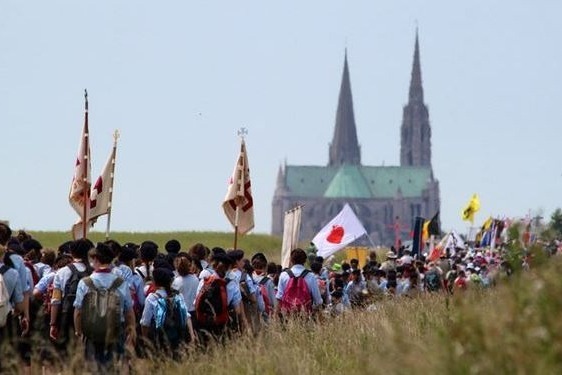 The brothers are carrying the intentions of the benefactors with them to Chartres. Thank you and God bless you to all our donors who have helped us to reach this target so quickly. The brethren will carry your intentions with them from Paris to Chartres. Thank you to all those who have given such truly Providential help thus far. We are approaching the amount we need to purchase the train tickets. Please help us reach the goal by sharing and forwarding this appeal. May God bless you for anything you can do to help.